Sky’s Classics channel at last is starting to live up to its promise with a season of Warner Vintage movies scheduled for January. 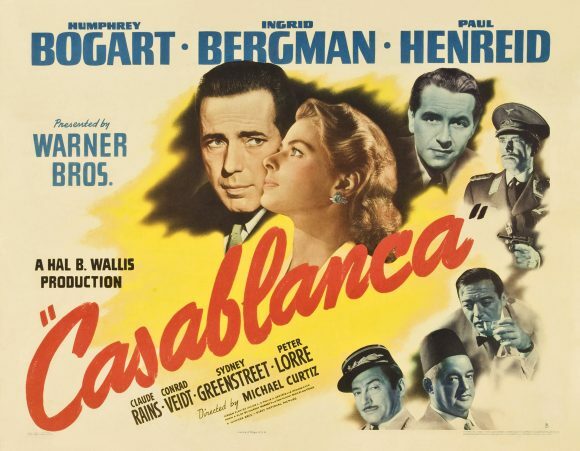 The 8.30 Saturday night run will open with The Maltese Falcon and continue with Casablanca, Rebel Without a Cause, Giant and Who’s Afraid of Virginia Woolf?. The channel should have been offering fare like this from the outset rather than sprinkling a handful of genuine classics with refugees from other Sky movie channels. For instance, “premiering” on Classics next month as part of a Spotlight on Denzel Washington season are The Hurricane and Malcolm X. You couldn’t dub either of these ’90s releases even a “modern classic” and they would be a better fit for Sky Movies Greats. Hopefully the Warner Vintage season will see more library programming of this calibre on a channel that’s treated HD subscribers poorly since its inception. As well being quasi-HD, most of the channel’s few genuine classics were licensed in SD. Despite Sky insisting these were being broadcast in HD quality, the fact is they were being unconvincingly upscaled. Said a spokesperson when I first quizzed Sky about PQ issues 18 months ago: “With the channel moving to HD, the SD titles were ingested and converted, which then allows us to broadcast in HD quality. Sky says it is now licensing only digitally remastered titles from the studios. Now the next step is to starting offering point-of-difference programming for movie buffs that extends to making Rialto and TCM HD as well.